Masonry paints are available in many assorted colours, effects and finishes, but the two most common masonry coatings are textured and smooth finishes. 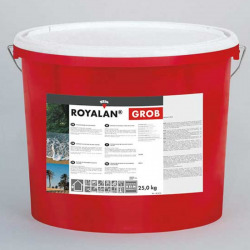 Both can be quick drying and extremely durable - offering excellent coverage rates and weatherproofing. 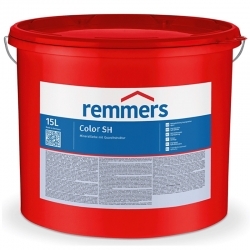 As with all paint applications, surface preparation work is key, and in the case of textured masonry paints, this means clearing and cleaning any loose materials, dirt, grease and grime, to allow for improved paint adhesion and further allowing the breathable coating to allow underlying substrates to dry out, whilst waterproofing it externally at the same time. Textured masonry paints are usually UV protective, dirt resistant, waterproofing and extra-durable in harsh environmental conditions – such as high-builds and on coastal locations. 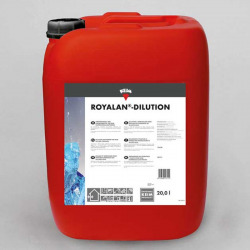 The flexible coating can cover fine cracks in either the underlying substrate or previous coating. 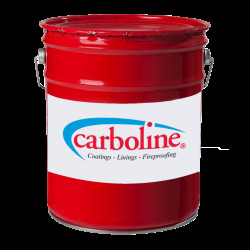 The textured finish shouldn’t fade, resists against flaking and peeling, as well as protecting against surface stains from mould – allowing the paint finish to look cleaner and newer, for longer. Textured coatings are generally rain proofed in 30 minutes – meaning for small surface areas, that waterproofing protection is available quickly and easily. Surface preparation: Basic surface preparation includes cleaning any loose or flaking substrate material or previous coatings, as well as mould, dirt, grease or moss. Stubborn areas of mould, algae, moss or lichen may need to be treated with a suitable fungicidal wash. After cleaning, allow all surfaces to dry before painting and ensure a primer is used where required. Many contractors contact Rawlins Paints for product advice with renovation projects on designated or listed buildings, as well as heritage properties. Frequently, plans are required from local authorities, and this may include specific colour schemes and masonry paint finishes, to match surrounding properties, or even to maintain a property’s aesthetical qualities. One may be required to test an area to ensure that different light conditions will deliver the required colour shade finish. Using and applying the right textured masonry paint will ensure long-lasting protection, often with a protective coating’s lifespan being up to 15 years of flawless coverage. Older properties may need a breathable masonry coating, to allow for any structural damp to pass through the substrate and out through the outer protective coating. This is often the case where foundational work cannot be actioned, but damp problems still need to be dealt with. Buildings and properties on the UK’s coasts frequently are protected with the more durable textured masonry paint – which offers environmental protection against not just rain, wind, sleet and snow, but the salty and more corrosive air conditions. 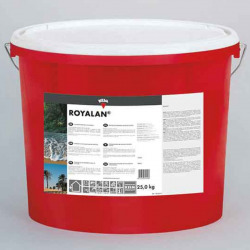 Suitable for brick and render – including roughcast and pebbledash surfaces – concrete, building and breeze blocks, textured masonry paint may require two coatings, but should be quick drying, allowing for large projects to be completed with minimal down-time. Fine textured masonry paints are a different grading to heavily textured ones, and are ideal for smooth or newly rendered walls. The cost difference between the two graded types is significant and so is the subsequent uses and performances. Fine textured masonry paints tend to be used when a compromise between a smooth masonry paint and a high build textured finish is required and can provide a very cost effective alternative. The texture in these coatings is from the aggregate encased within the paint – and the more heavily textured the coating is, the more often it may need to be cleaned. Heavily textured masonry paints offer a dramatically different appearance when applied, and are appropriate for a wider range of substrate types and conditions – with their crack bridging flexible coatings being favoured on older or more exposed properties. Heavily textured coatings are not advised to be used on substrates which are permanently wet. 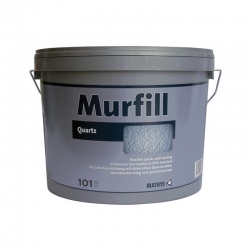 They are, however, ideal for substrates and buildings which need to allow for wall movement, require heavy discolouration damage or scarring to be covered – including any repair work.